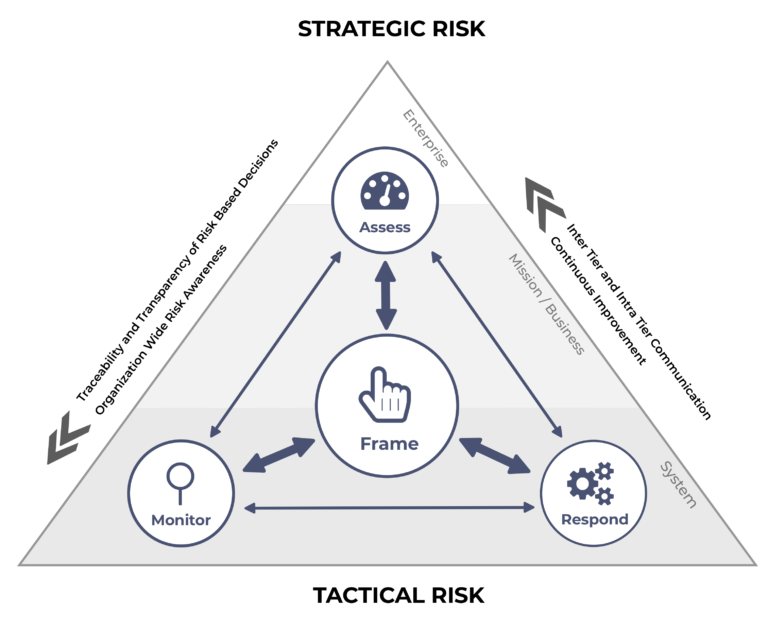 Cyberledger on a foundation of leading industry cybersecurity guidelines such as, NIST Special Publication 800-30 Guide for Conducting Risk Assessment and SP 800-37 Guide for Applying the Risk Management Framework to Federal Information Systems. Define users, organizational tiers, system boundaries, security categorization and applicable overlays. Automated ingests of threat data to evaluate how susceptible a system, organization and entrprise may be to a threat by cataloging attack patterns, comprehensive schema and classification taxonomy. 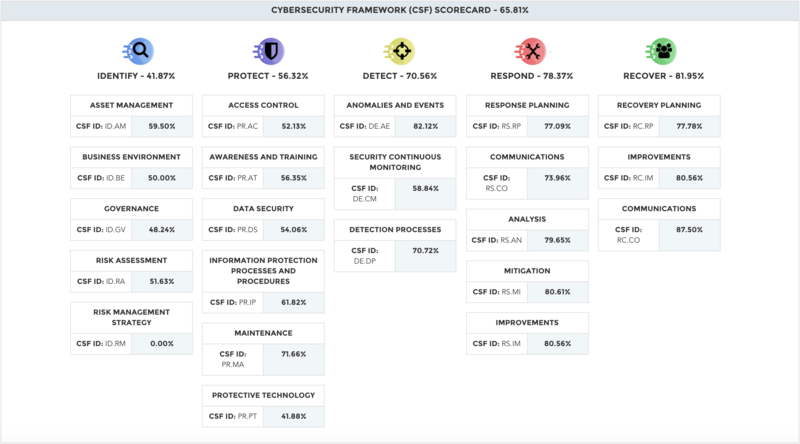 Automated calculation and measurement of Cybersecurity Framework (CSF) functions, categories and control objectives using validated security assessment data. 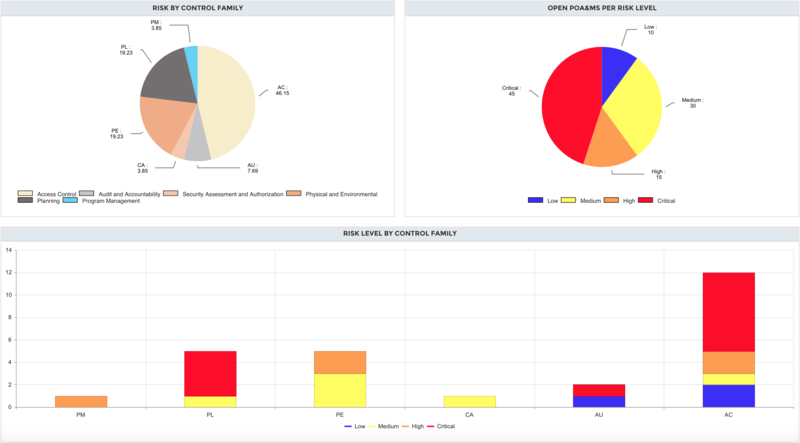 Quantify Security Compliance Security control compliance scoring with security control implementation details at the most granular Control Correlation Identifier (CCI) level or NIST 800-53A "Determine If Statement"
Security maturity scoring with level progress and compliance improvement target trends. 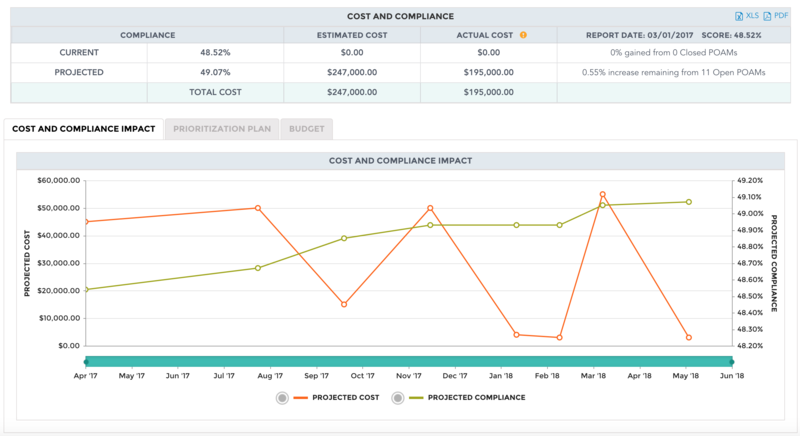 Respond to compliance improvements across the enterprise, trends over time and anticipated cost for future budget periods. Prioritize the remediation of enterprise system vulnerabilities based on mission impact, threat susceptibility, available solutions and cost. Generate a budget plan that maps planned expenditures to the CSF functional reporting areas. Respond to capital planning investment control (CPIC) requests and further justify/support risk based decision analysis. Calculate cybersecurity costs to close compliance gaps in systems and risk mitigation trends by cost. Saves time and cost to perform manual analysis and cost reconciliation from various cyber, operations, and financial spreadsheets.